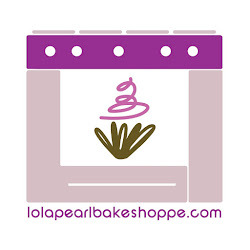 Lola Pearl Bake Shoppe: Celebrity Post [Halloween Edition]: Spider Cupcakes! Celebrity Post [Halloween Edition]: Spider Cupcakes! In honor of the release of our newest eBook, "Easy Halloween Cupcakes: Decorating and Recipes", we are presenting a Celebrity Post - Halloween Edition! We love this black widow spider cupcake!